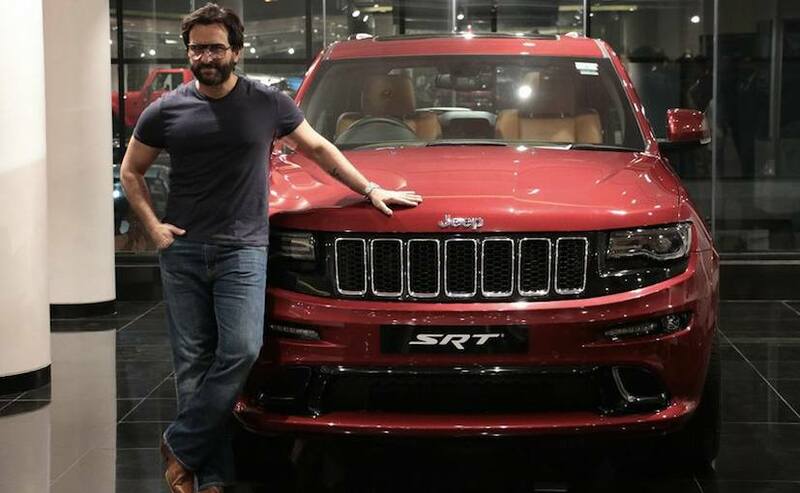 Chef actor Saif Ali Khan is the proud owner of India's most powerful Jeep SUV - the Grand Cherokee SRT that produces over 469 bhp and 650 Nm of torque. American carmaker Jeep finally made its way to India last year, but it's really been the success of the Compass that has paved the way for the iconic brand. 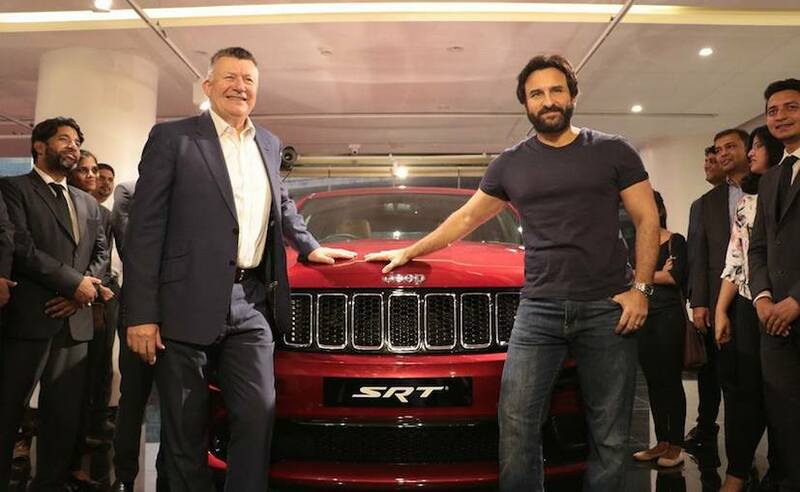 However, the manufacturer has some extremely capable SUVs and taking one home is actor Saif Ali Khan, who has bought the range-topping Jeep Grand Cherokee SRT. The performance SUV is the automaker's flagship offering in India priced at ₹ 1.07 crore (ex-showroom) and is the performance edition of the Grand Cherokee. The model packs a serious punch of power and off-roading capabilities. Saif was handed over the keys to his SRT by Fiat Chrysler Automobiles (FCA) - President and Managing Director, Kevin Flynn at a dealership. The Jeep Grand Cherokee SRT is one of the more performance friendly SUVs you can buy in the country with ample of power at its disposal. The SRT badge is to Jeep offerings, what an AMG or M badge is to a Mercedes-Benz or a BMW. The SUV gets substantial upgrades, not only in terms of power, but additional reinforcements as well to handle all that torque. Speaking of which, power on the Jeep Grand Cherokee SRT comes from a 6.4-litre HEMI V8 petrol engine tuned for 469 bhp and 650 Nm of peak torque. The motor comes paired to an 8-speed automatic transmission. The SUV can sprint from 0-100 kmph in just 4 seconds and gets Quadratrack-2 four-wheel-drive system for putting down power on tarmac more effectively. The Grand Cherokee SRT additionally gets high-performance Brembo brakes and an Active Damping Suspension. The performance SUV rides on 17-inch alloy wheels wrapped in 225/60-R17. Inside though, the Jeep Grand Cherokee SRT is every bit luxurious and can seat up five occupants. The SUV is loaded with all the creature comforts including ventilated leather upholstered seats, leather covered steering wheel and gearshift knob, satellite navigation, triple-zone automatic climate control, cruise control, as well as a 7-inch touchscreen infotainment system. The performance offering also comes with a tonne of electronic aids including ABS, traction control, Stability control, and airbags. Tyre pressure monitoring system is also standard. The Jeep Grand Cherokee SRT looks every bit menacing as an American SUV with a familiar face. You also get upgrades over the standard Cherokee including the blacked out grille, all-LED headlamps, and meaner looking bumpers. 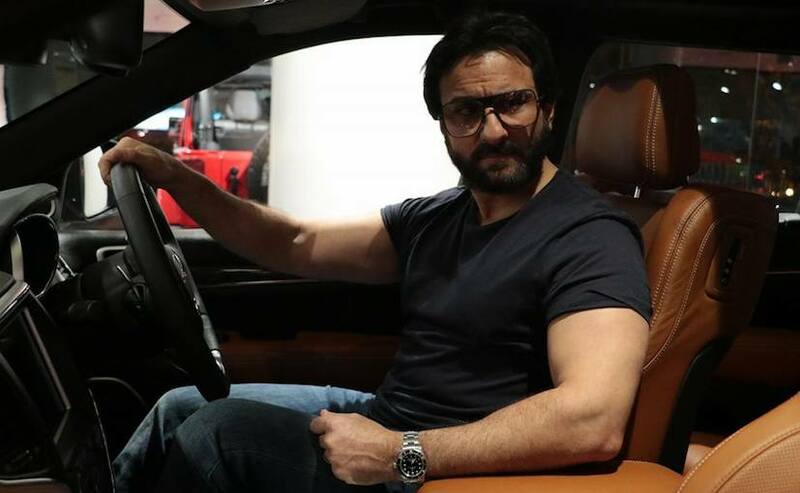 Actor Saif Ali Khan is a petrolhead at heart and has been known for an interesting choice of wheels in his garage. 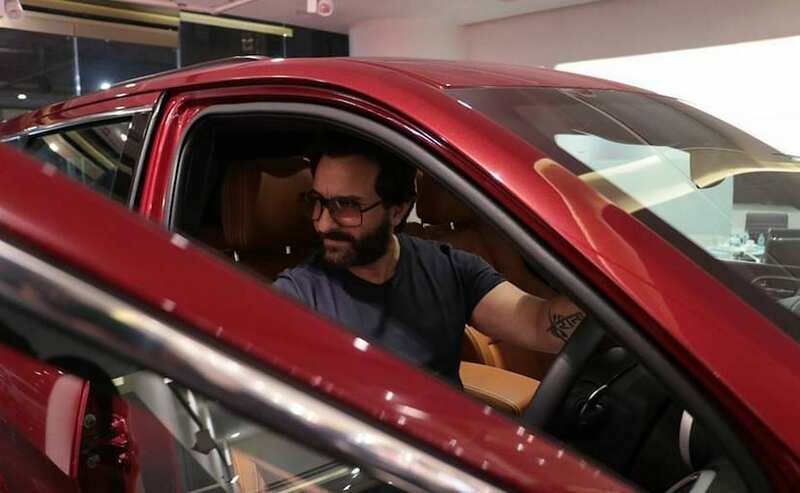 From owning a Maruti Esteem in his earlier days, the actor has gone on to purchase the Lexus 470 SUV, BMW 7 Series, Toyota Land Cruiser among others. The actor also had a Ford Mustang added to his garage a couple of years ago, which was converted to Right-Hand Drive to meet Indian regulations. More recently, Khan had also purchased the previous generation Audi R8 Spyder.